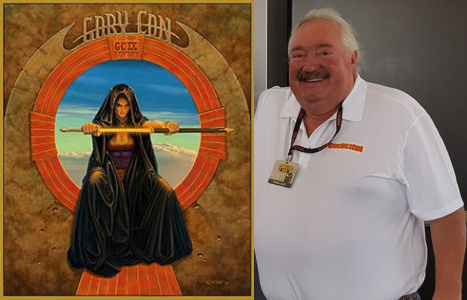 The second installment of the Gary Con special will air on March 24th (during Gary Con) and will be accompanied by the next issue of the Sanctum Secorum companion zine, dedicated to Ernie Gygax’s Appendix N choice, Hiero’s Journey as well as news from the Bearmageddon, and much more! Gary Con poster art used with permission of Luke Gygax and Gary Con. News: The Umerican Survival Guide Kickstarter is live! Awesome. Illuminating and fun. Along with many others I’m on a quest to read all Appendix N books along with fun derivative works. Of course adding all of Gary’s books.